Since the dismissal of Mohamed Mediène, three other generals have been indicted and several senior officers dismissed. What does this treatment and how far will she go? Presidential (DSPP), an Algerian secret service attached to the Department of Intelligence and Security (DRS). At the head of a squad of some 700 bodyguards, he watched day and night, inside and outside the country, the security of the head of state. But that was before the sky falls on his head. Fired in an expeditious manner, he was first struck by a prohibition to leave the country before being tried behind closed doors, that on December 2, for “violations instructions” and sentenced to three years in prison by the military court of Constantine, his native region. 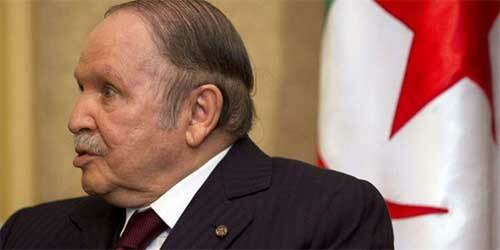 Why and how the General Staff of impeccable reputation, estimated by Bouteflika to the point that it Paris advised him to treat his heart problems, he found himself in this situation? In a country where the cult of secrecy is part of the DNA of the political system unravel fact from fiction equivalent to unravel a skein of wool. This is even more true in the case of events involving military officials. One thing is certain though: this new case known Zeralda after those of General Hassan and General Hocine Benhadid, Algerians gives the feeling of attending a remake of “Moscow trials”. “Take care of my children,” confided Djamel Kehal Medjdoub his entourage. Did he know he was going to meet serious trouble? Certainly.